Google lays down some strict policy rules when it comes to advertising, most of which are perfectly reasonable and obvious. Below is a quick summary to help you when planning AdWords campaigns, building landing pages or creating ad copy. Landing pages must be easy to enter or exit. Any attempt to keep users on a landing page by “disabling” the back button will be contravening Google’s rules. Bridge pages that send users to either a different domain or a non-compliant landing page (from an AdWords policy perspective) are not allowed. Some exceptions include ecommerce pages that lead to a 3rd party payment website to process payments. Google AdWords doesn’t allow the copying or distribution of copyrighted material unless you have consent from the copyright holder, or are otherwise permitted by law. Your destination URL must link to a web page that works for all locations (irrelevant of how you have geotargeted your campaign). You can’t link to an email address or file download such as a video download or executable. Your landing page domain must match the domain in your destination URL with no clever redirects or affiliate schemes. Google doesn’t allow ad copy to include affiliation or partnership with Google without their authorisation. Also, your ads can’t imply an affiliation or partnership with any unrelated 3rd party. Google doesn’t allow ads that lead to parked websites that have little valuable content such as excessive ads or little transparency about the organisation’s products or services. If your website is infected with malware or sells software to that effect, you are in contravention of Google’s guidelines. A with its natural search algorithm, Go0gle AdWords does not tolerate sites that are using techniques to show different content to different user agents such as Googlebot. Content displayed to humans must be the same content that Google or other bots see. In order to send users to unique content, Google AdWords does not allow the duplication or “mirroring” of websites across different servers or domains. Nor does it allow the use of frames – where 3rd party website content is displayed in a frame of a different website and no additional unique content is presented. In order to improve online user experience, Google doesn’t allow pop-ups to load when a user enters or leaves a landing page. Their definition of ‘pop-up’ is any window, regardless of content, that opens in addition to the original window. Google doesn’t allow the promotion of sites that use phishing (an attempt to collect personal information by disguising a website or email to mimic another brand). Google frowns upon advertisers running ads across one or more businesses that are triggered by the same or very similar keywords. Having two or more ads appearing in the same search results is known as “double serving”. Google AdWords doesn’t allow websites whose sole purpose is to collect customer data, to advertise on AdWords. Typical examples are sites that offer free gifts, prize draws, offers or videos. Equally, websites collecting sensitive information such as credit cards or bank details must collect information using a secure (SSL) connection. AdWords ads must not be run that violate government trade sanctions. These will of course vary by country or region. Google frowns upon pricing models that are not clear to users. Examples include: checkout processes that do not clearly indicate all charges, or mobile products or services paid for or billed via a mobile phone without the user’s consent. In all cases, full transparency is required. Google absolutely forbids ads promoting action against groups of people or organisations distinguished by race, religion, nationality, gender, sexual orientation, age or belief. 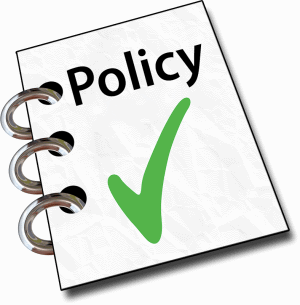 In all of the above cases, we recommend checking policies directly with Google as rules and regulations will sometimes vary by country or region.